Jobs-rich Growth in Asia discusses some of the most pressing issues that countries in Southeast Asia are facing in regard to boosting local employment and skills development while advancing social protection strategies in emerging, fast-growing labour markets. 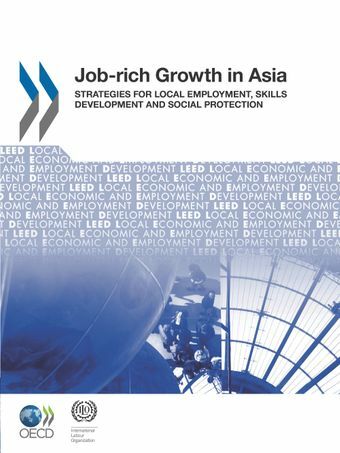 A joint OECD/ILO initiative, this book analyses local approaches in Asia to modernise labour markets and skills strategies and shows how local recovery is taking place through a combination of policy measures on employment creation, skills development and social protection. What role do local governments and local stakeholders have in an inclusive job-rich recovery?